Opening soon at Bareeq al Shatti in the place of Abala Cafe, a new steakhouse, The Steak Company will be opening its doors. The Steak Company has exclusive rights to both South African Prime by Karan Beef, and Australian Prime Black Angus by Ralphs as well as the same Silverfern New Zealand beef used in many hotels here. I was fortunate enough to be invited to go and sample their South African steak and I have to say it was delicious! The particular steak dinner I had is priced at RO 8.9 and I felt that was a good price for such an amazing steak. I know that once it opens I'll definitely be going back for more. My understanding is that they will be open by the end of the month. yes indeed, their steaks are absolutely delicious. It is my friend's venture and I wish her and her husband all the best!! I can not wait for them to open...already have my family waiting too!! Must check this out! Looks yummy! Why bother spending good money on a steak night out when you can't have a glass of wine to wash it down? 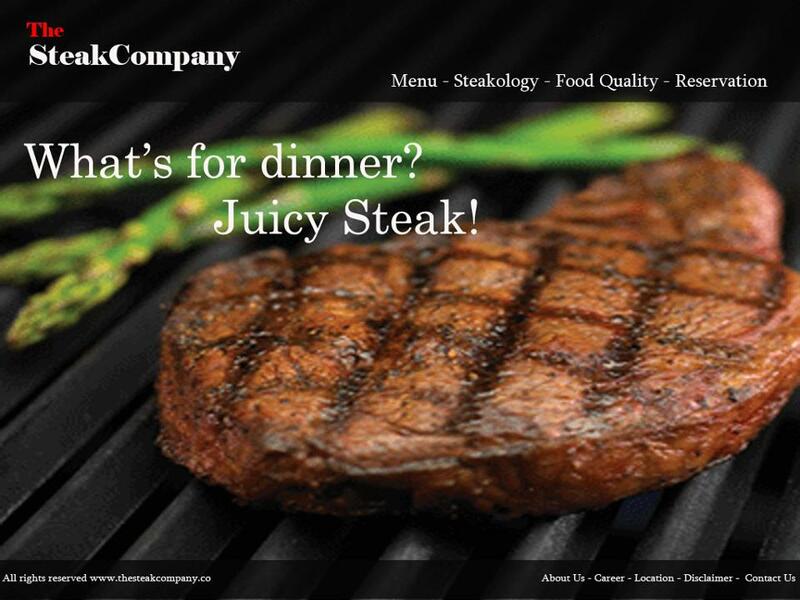 The SteakCompany is dedicated to serve high quality beef. Our primary Market is to cater for individual & families whom do not want to associate with alcohol environment. I'm one of those fortunate people who had a taste of their steak. Its so delicious and i have been craving it ever sine ! cant wait for the opening . 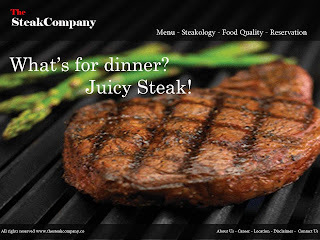 I am sure the steak will be delicious, but why did they chose the name "The Steak Company" ? in the first instance I thought it is the same restaurant as the one in Dubai's Madina Jumairah, but then realized that one is called "The Meat Company". Coincidence ??!!! Not a Coincident! It was very difficult to get a nice name that has not been registered as a trade mark... We went thru several naming, till we found somehting that we could have the legal right and sounds nice and simple. MeatCo is their legal Name not Meat Company. We are The SteakCompany. The place is a direct rip off of The Butcher Shop & Grill.. down to the menu copied word for word.. In fact the chefs are Butcher Shop Staff.. Theft of menus and recipes is protecrted in thier employment contracts.. Watch this space for legal action!!!!! The Butcher Shop & Grill Legal Dept. I have been there once and I have to say, I was blown away. The drinks were a perfect combination with the steaks. The starters were mouth-watering. I especifically LOVED the homemade South African sausages, And the 29 O.R steak; Oh my God...I have never tasted such steak. And it gets better; The chocolate fondant. I just have to say Thumbs up!! And get cracking on a new location, the place is too small for a big steak-loving crowd!